Broomfield, Colo., January 29, 2019 - DealersLink, an industry leader in automotive systems integration and networking technology, today announced a partnership with Alpha Warranty Services, which provides a full line of unique and valuable vehicle contract programs (VSC). 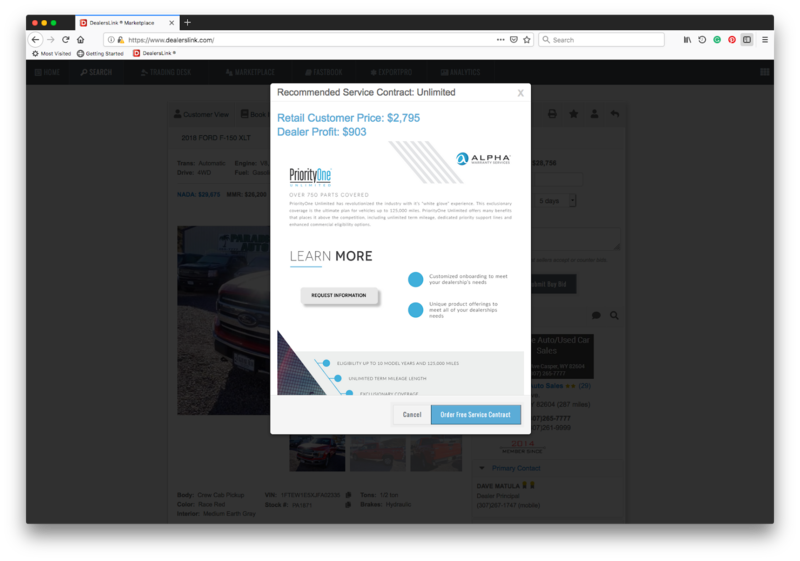 Through this partnership, DealersLink members will have the ability to add Alpha's industry-leading high mileage warranties to units directly from the Vehicle Details Page (VDP). 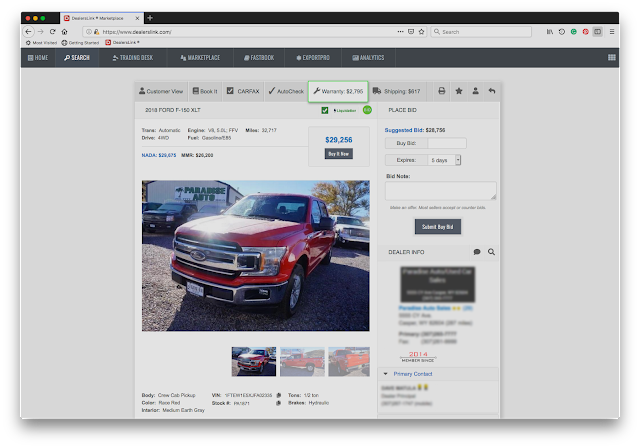 This will allow dealers to seamlessly estimate the cost of a warranty to the consumer while determining the profit realized from selling an extended warranty. Alpha warrantie quote on vehicle details page. Estimate the cost of a warranty to the consumer while determining the profit realized from selling an extended warranty. "We have identified Alpha Warranty as one of the most innovative warranty companies in the industry," said DealersLink CEO Mike Goicoechea. "DealersLink has completed the integration with Alpha that will instantly generate per unit warranty quotes for DealersLink members inside the platform." "This strategic partnership will work to reduce concerns dealers may have with adding higher mileage vehicles to their inventory," said Ty Kielblock, Alpha Warranty Services. "Our best-in-the-industry warranties work to protect both the consumer and the dealer, giving both parties peace of mind with high mileage vehicle purchases."